Regular readers will remember that during our recent exploration of BoardGameGeek’s Top 100 Rated Board Games we poked fun at Zombicide: Black Plague. 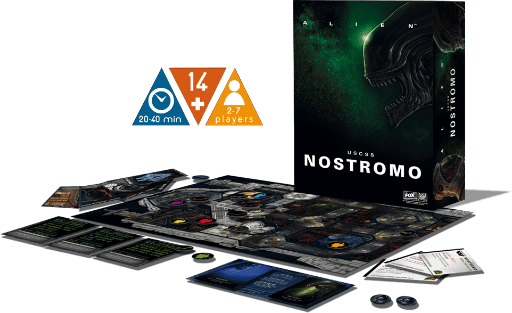 What you don’t know is that behind the scenes, we agreed that we would at least play Zombicide: Black Plague or one of its standalone expansions so that we could provide some honest thoughts on this series. As it happens, Matt and I were able to get in on a game of Black Plague during the UK Games Expo this weekend. We’ll be providing a decent-sized analysis in a future podcast, but basically we really enjoyed the art and production values of the thing, but found ourselves massively underwhelmed by the game. Depending on what exactly you were looking for, we’d either recommend Descent, Imperial Assault or Conan instead. Paul: So Shut Up & Sit Down doesn’t recommend you get in on the Green Horde Kickstarter? Quinns: I’m afraid not, no. Neither Matt nor myself would want to play Zombicide again, I don’t think, let alone buy a copy, and absolutely not at that price. Paul: I see. The word “zombie” had been causing my brain to auto-shut down in self-defence by 2009 and since then the oversaturation of zombies in popular media means I am now an empty and uncaring shell of a man, screaming internally that people should just try something else. 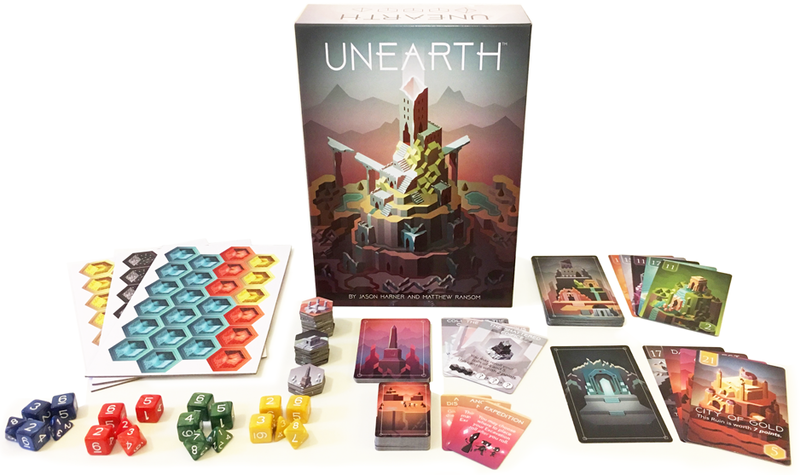 The only thing that may be able to save me now is the forthcoming Unearth, a dice placement game from two first-time designers that looks just visually splendid. It’s so colourful, it has wonderful isometric art and it puts you in charge of a team of five DICE who explore ancient sites and unearth strange ruins. It comes from the modest publisher Brotherwise Games, known for the popular Boss Monster, and it looks just CHARMING. I have to try it. Quinns: I tell you what I’m feeling the hype for, and that’s Z-Man Games’ NMBR 9. This game has been bouncing around social media for a while, but (again!) Matt, Pip and myself got the chance to play it at the expo this weekend, and it’s extremely good. This is a deceptively simple stacking game all about placing weirdly shaped numbers on top of other weirdly shaped numbers, scoring points according to the value of the number and how high up it is. Of course, the shape of everything and the challenge of stacking them legally means you’re forever compromising between what you want, what you need and what numbers you’ve got yet to arrive, like blocky guests at a panicked party. Right! 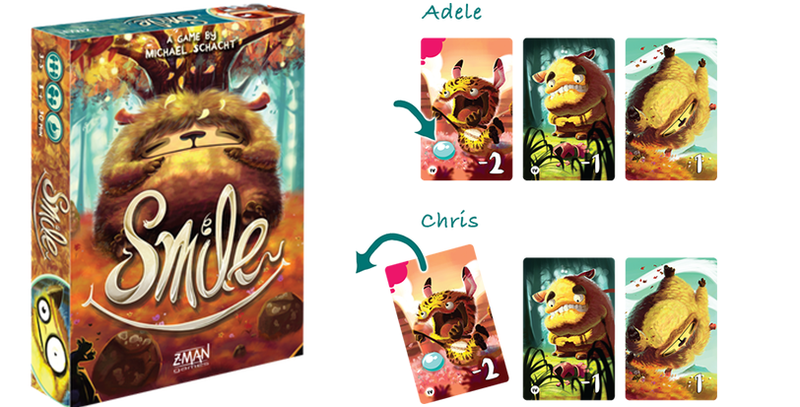 Z-Man also announced Smile this week, a small-box card game where players compete to amass a collection of colourful critters by using a limited number of “lightning bug” tokens as bait. 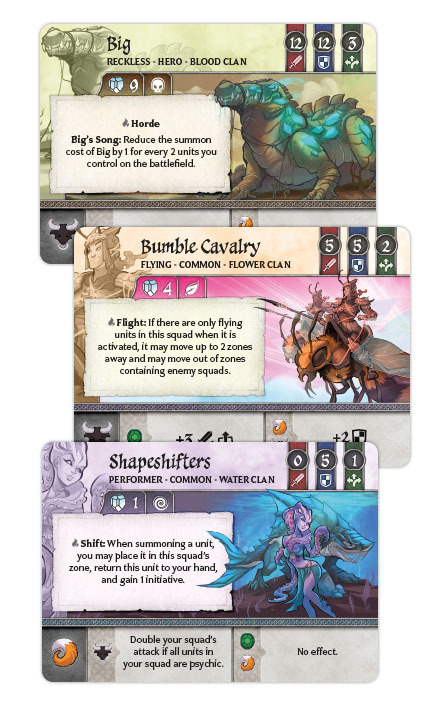 It’s from German designer Michael Schact, and while SU&SD hasn’t gotten along particularly well with his games in the past I’m still buzzing with excitement because this represents the revival of Z-Man’s line of deluxe card games. Remember last year when I went a little mad, recommending Arboretum, Parade and Archaeology? Ooh, and that line also included Lords of Scotland and Chimera, neither of which are quite so easy to recommend but I still enjoy them a great deal. 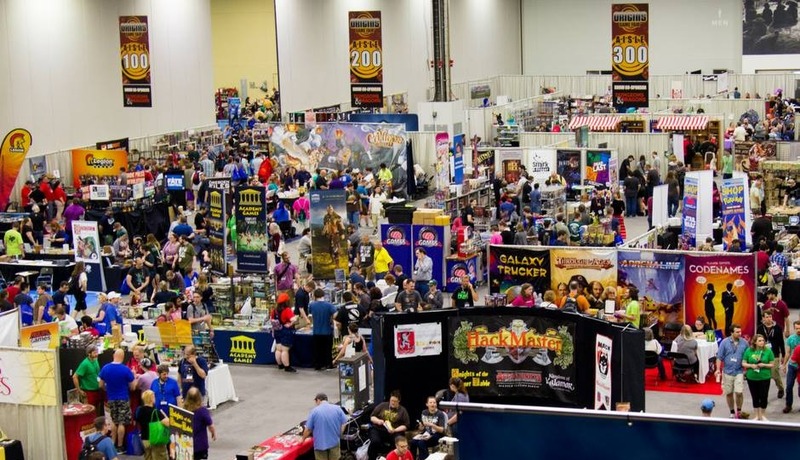 WELL, with the announcement of Smile, it seems that Z-Man being bought by Asmodee might have just meant a hiccup, as opposed to a cessation, of Z-Man being the publishers of the best card games in the world. And that makes me very happy. During a brief conversation with Zev (the lovely founder of Z-Man Games) this weekend, he told me that all of those gorgeous games represent the handiwork of Z-Man Games “Master illustrator” Chris Quilliams, who was also solely responsible for the look of Pandemic Legacy. For years I’ve been enjoying the art design of Z-Man game after Z-Man game, I’d just never put two and two together that it was probably the work of a single person. Mr. Quilliams? I salute you. Paul: Flying back to Kickstarter like a puppy on a bungee, we also find yet another Lovecraftian project, the rules-light, horror-heavy RPG Cthulhu Dark. Usually I’d pass over this like a ghost over a grave, but the idea of offering multiple time periods, from the 1600s to the near future, puts a more interesting spin on things. How will this uncomplicated interpretation of Lovecraftian roleplaying compare to, say, our recent review of Trail of Cthulhu? I guess we shall have to find out. Quinns: The RPG communities I follow have been really enjoying this one. I feel like a lot of people assume that once you’ve enjoyed accessible RPGs like Fiasco or World Wide Wrestling, the next step is buying a couple of serious sourcebooks that weigh as much as a baby. It’s not true! 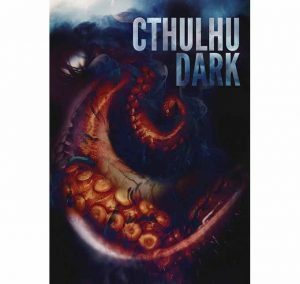 If you’re one of the many people who were ogling Cynthia’s Trail of Cthulu review but don’t want to make such a big commitment of time and money, Cthulu Dark wants to give the same mysteries and terror but packed more elegantly into a smaller space. 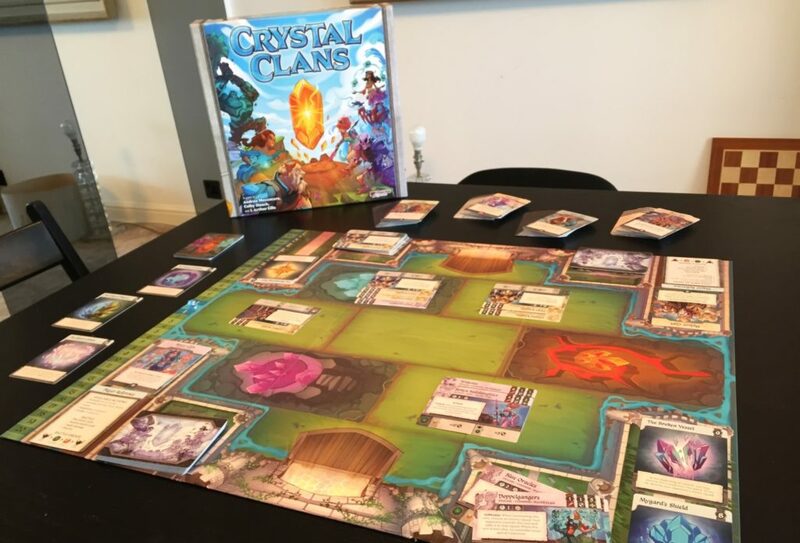 AND FINALLY, studio Plaid Hat Games has unveiled Crystal Clans, a new strategic 2 player game that looks absolutely gorgeous. 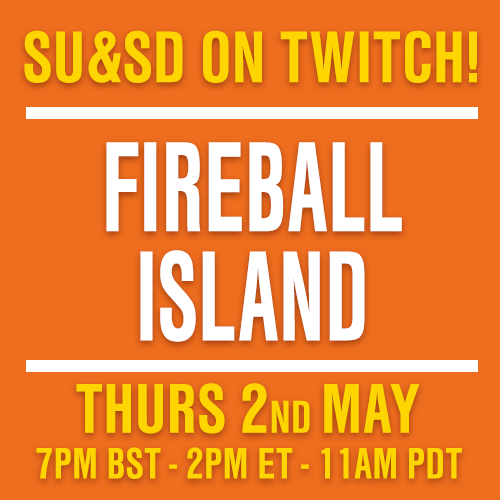 In other words, it sounds like nothing else we’ve ever played, and there’s no faster way to set the SU&SD slack channel afire with excitement than by combining an innovative pitch and stunning artwork. We’ll be bringing you the earliest possible review. Did any of you come to the UK Games Expo? Whether you did or you didn’t, what did you manage to play this weekend?